Lam Dong (VNS/VNA) – The Central Highlands province of Lam Dong has petitioned the Ministry of Agriculture and Rural Development (MARD) to grant funds for repairing 28 reservoirs that threaten production and livelihoods of local residents. The reservoirs are in various states of damage with six deemed unsafe for operation, according to the province’s Department of Irrigation. Phan Cong Ngon, director of the province’s irrigation division, said that his office had checked all 43 reservoirs in the locality, assessed their damage and proposed repairs. Most of the small-sized reservoirs, built before 1990, have been short of monitoring equipment, poorly constructed, and relatively unsafe for operations. Besides, several reservoirs have poor or no drainage systems and sluice gates, causing sedimentation, erosion and cracks, he said. To ensure safety for downstream areas, management of the reservoirs’ operations is also important, especially the large-scale ones, he said. Some dams are at a high risk of being breached, including Ma Poh, Suoi Dia-Cay Xoai, Tan Rai, Da Te and Da To Ton, he added. 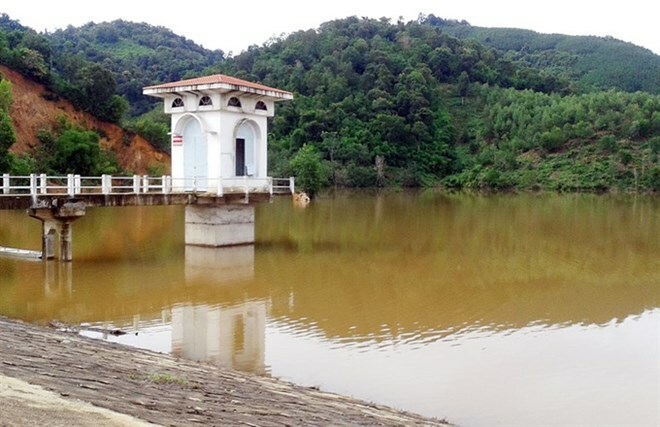 Dinh Van Hoang, deputy chairman of the Tu Tra communal People’s Committee, said the Suoi Dia-Cay Xoai reservoir faces a high risk of breach, threatening the lives and property of 117 local households. The committee has organised many activities to raise people’s awareness about protecting, managing and operating the reservoir, he said. The province has a total of 219 reservoirs, including seven with a capacity of over 10 million cubic metres, an equal number with a capacity of 3-10 million cubic metres, 79 with a capacity of 0.2-3 million cubic metres, and the rest with capacity by less than 0.2 million cubic metres.